You walked across the stage several times yesterday getting 6th grade academic awards ranking you, in various subjects, at the top of your class of over 100 kids. 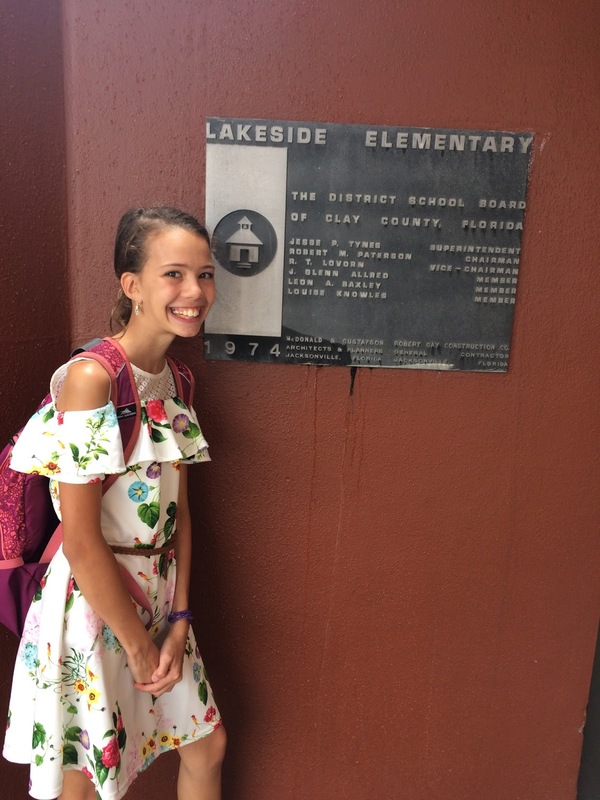 Your elementary years are over and you are headed to one of the public junior high schools near us, having been invited into their accelerated learning track for the fall. It seems like I just closed my laptop after writing this post, and then reopened it to write this one. But here we are 6-7 years later and although much has changed, one thing hasn’t changed. We’re still counting the days, in a sense, for the sole purpose of showing that we have a God on whom we can count. Since Kindergarten, you have attended 3 different schools in 2 different states and been taught with 4 different educational approaches. You’ve experienced the highs and lows of Christian school, home school, Montessori school, and public school. God has used these many changes and challenges to shape you and, by his grace, you have responded. I really mean that. Any successes you can claim, whether academically or produced in your character, are all of God’s grace. Ten years ago I would’ve said that but secretly patted myself on the back for doing a pretty good job of making you who you are. I see myself in you. And it’s in those times that I pray he will increase in you and I will decrease. Because I want you to resemble me only in the ways I resemble him. You look like me (and your Ammy), there’s no doubt about that. And when I hear people tell you, as they have me, that your smile lights up a room, it makes me happy. But Stella, I want you to look most like Him. I want to see him in your attitude and actions when you’re frustrated, when you’re excited, when you’re interacting with others, when you’re disappointed, when you’re ambitious. I want to see your life continue to take the shape of his because your heart is his. So, after the program yesterday, when goodbyes were being said, and the awards were being stacked, and one of your teachers unexpectedly pulled me aside to tell me that he knew you were a Christian and could see you living your faith in a real way this year, I praised God. I praised God because I know the struggle you’ve had being a light in a sometimes dark place. I praised him because I knew this was something your dad and I didn’t directly have control over. This was Jesus in you, shining through you, using your life to make him look great.